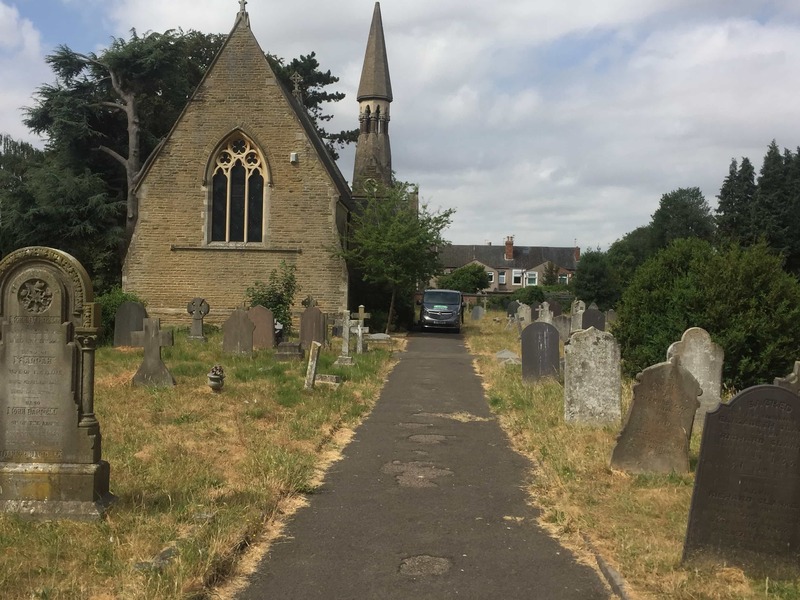 I was called out to repair and clean a lovely Victorian tiled floor at St’ Chads which is a small church in Rugby, a market town in Warwickshire and well known for being the birthplace of Rugby Football. 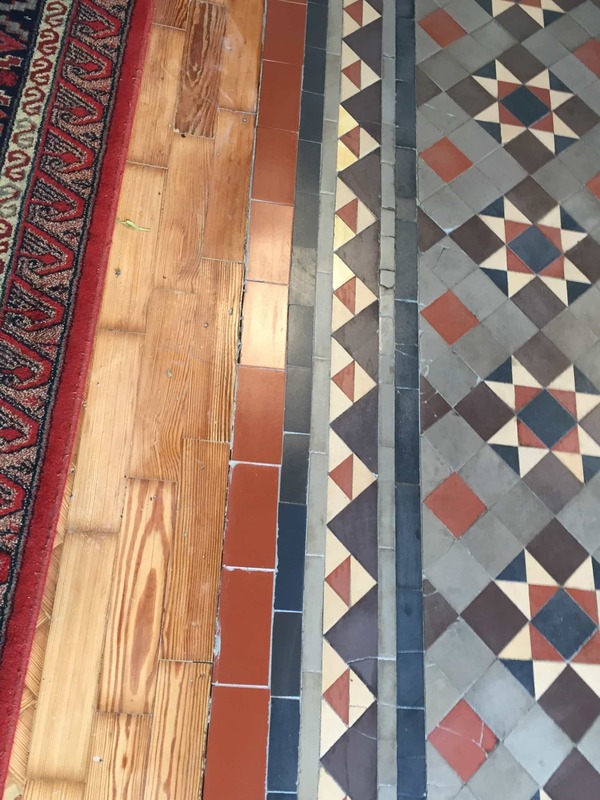 There were two areas requiring attention, both with different patterned tiles. 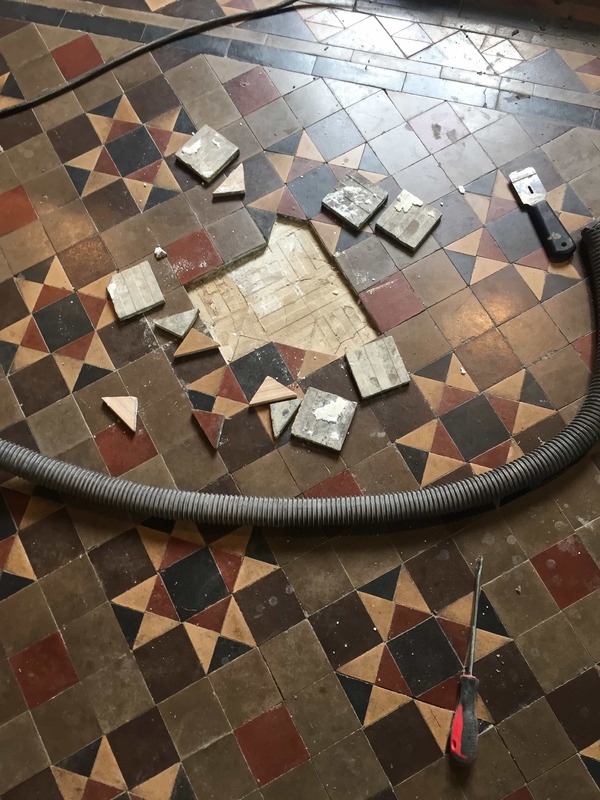 The floor had been patch repaired in the past and the tiles were now lifting and becoming loose due to efflorescent salts getting between the tiles. Damp can be a big problem with these old floors where no damp proof membrane has been fitted and I suspect a non-breathable sealer had been used previously, resulting in moisture being trapped under the tile. It’s lovely when I get to work in a property such as this, it makes a change from doing residential properties. I was confident I would be able to resolve the problems, and I was given the keys and time just to get on with it. 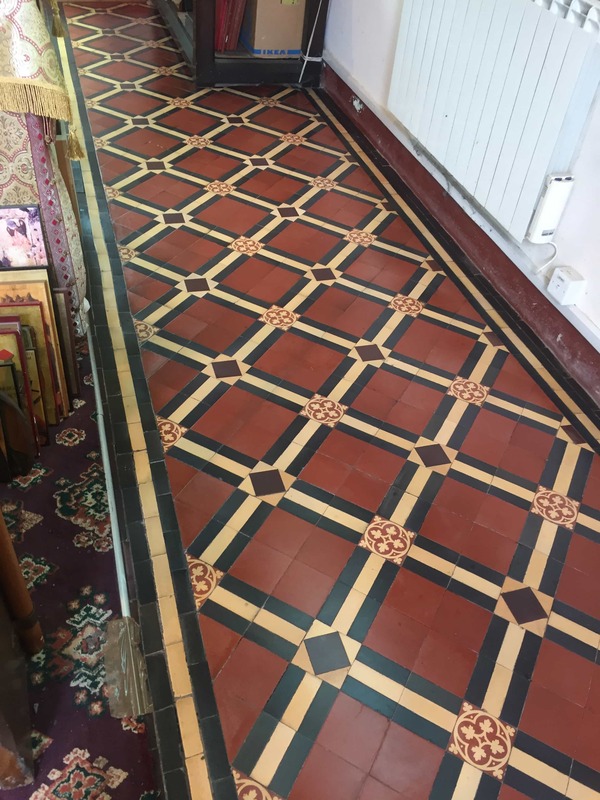 I’m always on the lookout for reclaimed tiles on eBay so I was luckily able to repair the floor using some tiles from my collection which matched the existing and also some of the new ones that were fitted after the floor was repaired. Once the tile adhesive had set the tiles were grouted in using a matching grout. I managed to make the repairs in the morning and moved onto cleaning the floor in the afternoon once I was sure the adhesive and grout had set. Concerned about adding moisture to the floor I opted to scrub the tiles with Tile Doctor Acid Gel which being an acid would counter any alkaline salts inherent in the floor and also deal with grout smears as well. 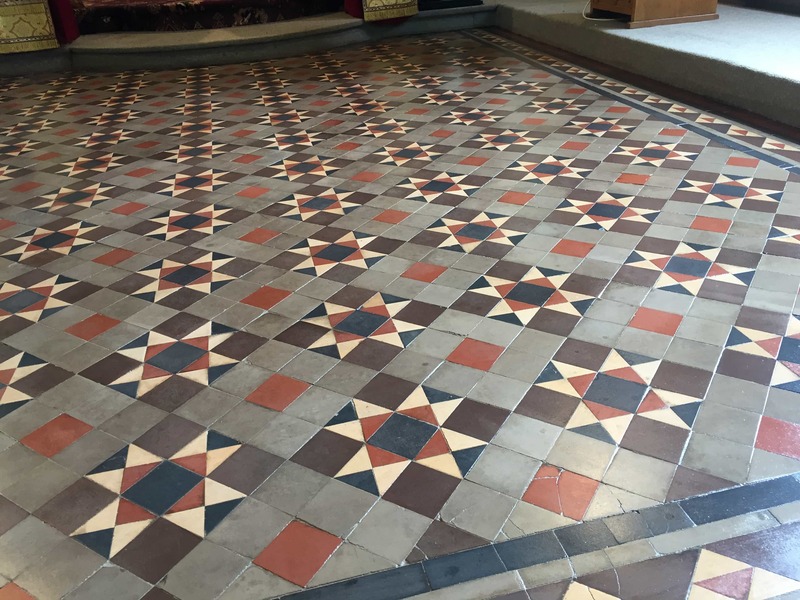 After scrubbing the tiles with the Tile Doctor Acid Gel the soiled product was extracted using an industrial wet vacuum and then the floor was given a quick rinse with water which again was extracted using the wet vacuum. To ensure there was no increase in the level of dampness in the floor I took moisture readings before and after the cleaning process. I then left the floor to dry out for a few days. 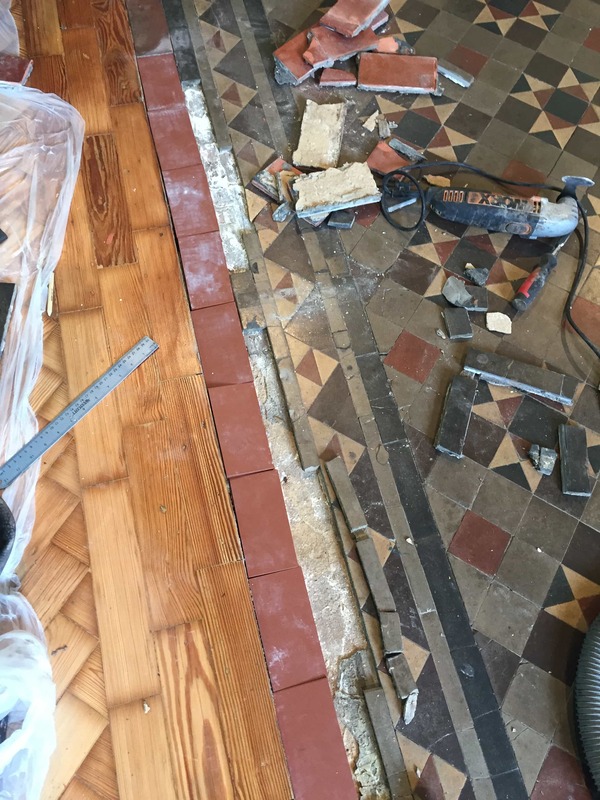 When I returned I first checked the tiles were dry using the damp meter and verified that they had returned to the baseline level I took at the start. With all being well I applied several coats of sealer to the floor. Given the issue with the tiles lifting previously I was keen not to repeat the previous issue and used Tile Doctor Seal and Go Extra which is a fully breathable sealer ideal for floors where damp can be a problem. This gave the tiles a nice natural sheen and allowed the colours to shine through. 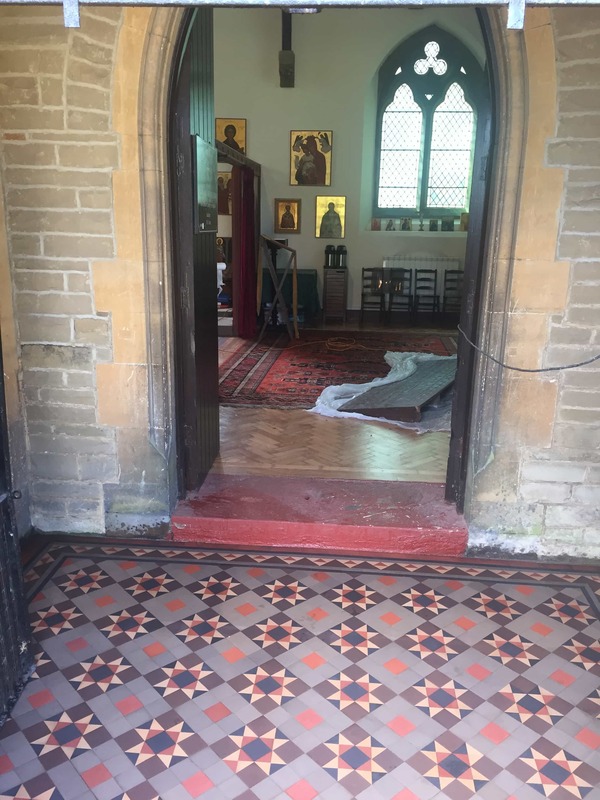 The parishioners were very happy with the repairs to the floor and to see their lovely church restored.